Word of the Day can be incorporated with your schedule many different ways. In the picture above, it is set up as a vocabulary center. I use a wipe off pocket so it is quick and easy to slide in each “Day in History” slide. There is a small pocket chart under it that you can change out the two words of the day quickly. Copy the words on different colors to differentiate. 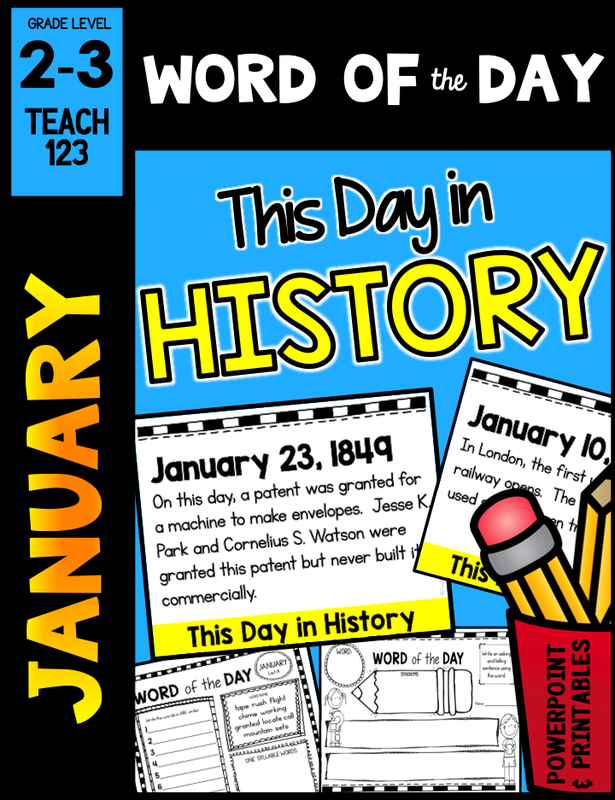 Each “Day in History” has 2 words so you can provide enrichment. There are also foldables, half-page assignments, extensions and weekly wrap-up assignments. 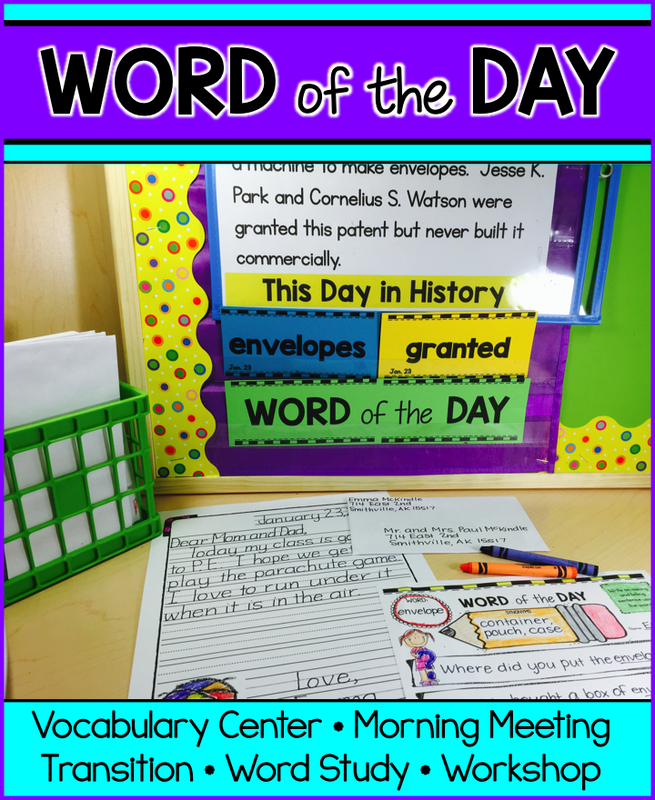 Word of the days can be used with your morning meetings, transitions, word study, incorporated with your Daily 5, or reading workshop. The generic assignments can also be used with your spelling lists, science or social studies vocabulary studies, or word wall lists. Download the preview file for a free sample.